This classroom-in-a-book is da-bom!!! You’ve just spent the last how many ever years working hard to Become the Best Shining You, and now it’s time for you to Stand Up, Stand Out, and Shine!!! Do you know how to do that? 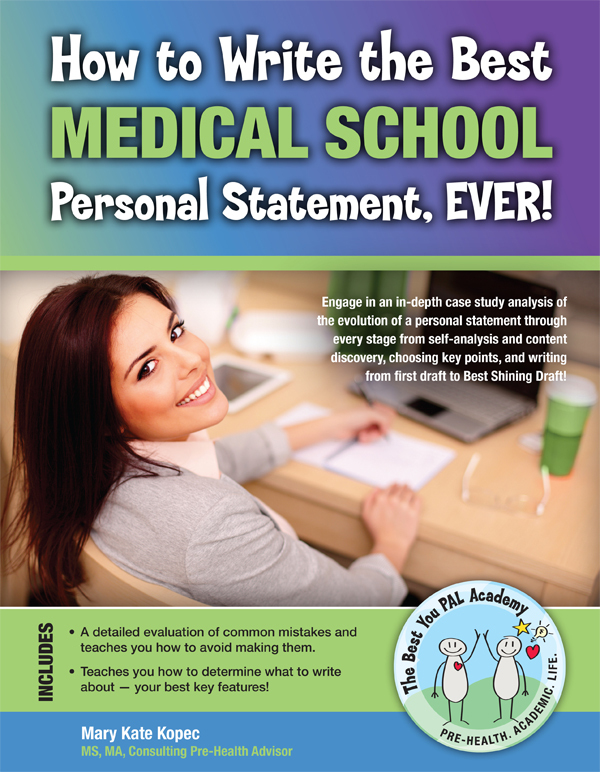 This classroom-in-a-book will teach and show you How to Write the Best Medical School Personal Statement, Ever! If you are applying to a pre-health professional school, this book is your essential guide for writing your personal statement – the one that will help you Stand Up, Stand Out, and Shine! This classroom-in-a-book is filled with insight and purpose, and it has an empowering workbook component to help you truly master the skill of writing a compelling and persuasive personal statement! And where there’s a workbook, there’s a “solution manual.” Not only do you get the constructive opportunity to take your understanding to the top of the mountain, but you’ve got my years of experience, talent, and skills guiding you and reassuring you on every page!!! This book is included in video-book form when you join The Best You PAL Academy. If you are interested in learning more about this book and the Academy, click here for more info.